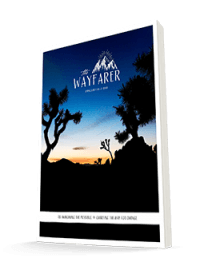 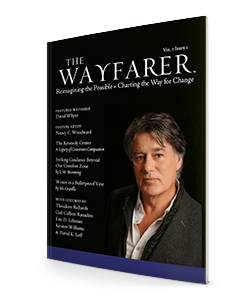 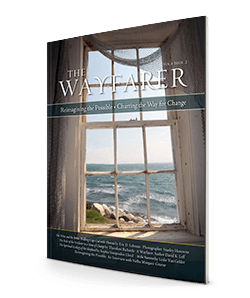 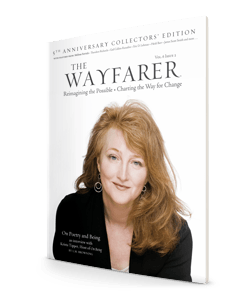 Since 2012, The Wayfarer has been offering literature, interviews, and art with the intention to inspires our readers, enrich their lives, and highlight the power for agency and change-making that each individual holds. Interviews In This Issue: In this issue, we look towards the Southwest, offering interviews with poet Frank LaRue Owen, award-winning spiritual author Mirabai Starr, and acclaimed conservationist author Stephen Trimble. 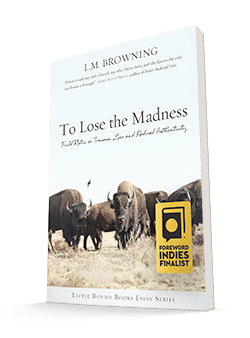 Feature Poets: Gwendolyn Morgan, L.M. 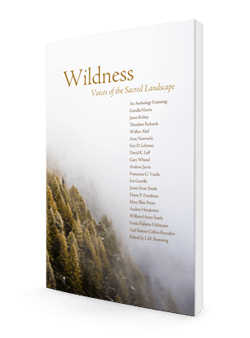 Browning, Amy Nawrocki, Heloise Jones, Jason Hinchcliffe, Christopher Nye, Mark Taksa, Robert Hirschfield, C. M. Rivers, Jessica Martini, Richard Schiffman, Kay Merkel Boruff, Don Russ, Keith Moul, Heather Kirn Lanier, Douglas Cole, and Max Stephan. 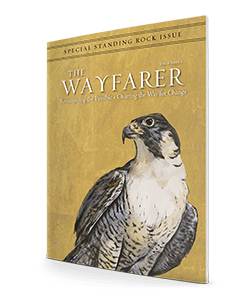 Feature Essays: Climbing the Sacred Bear by Burt Bradley, What the Soul is, and Where Hidden by Tyra Olstad, The Forest for the Trees by William Huggins, and A Baker’s Dozen of Ways to Endure March in the Pacific Northwest by Iris Graville.